For decades, people have been moving to Florida in droves for the weather, beauty, and opportunity. Here's your chance. Oaklodge Manufactured Home Community in Pensacola, Florida, offers manufactured homes for rent or sale in its own attractive wooded setting. 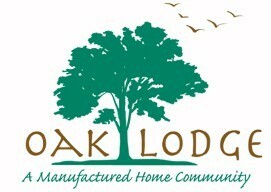 Oaklodge Manufactured Home Community has been in business more than 30 years. Pensacola, Florida, is a prime destination for the growing wave of people moving to Florida. Hank Fishkind, president of Fishkind and Associates in Orlando, tells us Florida showed a net population growth of 350,000 each year from 2000–2006. "It's important to note that this is net growth. The actual number of people who move to Florida each year is far greater," he says. Everybody wants to move to Florida—baby boomers, domestic retirees, affluent entrepreneurs, executives, and moderate-income couples seeking a warm-weather destination with plenty of recreational opportunities. International buyers provide another stream of migration into Florida, including working-age professionals, retirees, and affluent second-home buyers. Monday – Friday, CST 9 a.m. – 4 p.m.
Jim Ayotte, president of the Florida Mobile Home Association, states that 2010 mobile home shipments to Florida are up 28% through July 2010. Home production in the state is up 33%. He states that as baby boomers are retiring, the declining world markets decimate their nest eggs, and their real estate holdings have not done well, They need to make retirement decisions. For baby boomers, and others, the decision is to move to Florida, and rent or buy an affordable manufactured home. Contact us at Oaklodge Manufactured Home Community for mobile home rentals. Call Oaklodge Mobile Home Park at (866) 709-1672 in Pensacola, FL, for great deals on mobile homes, trailer park homes, and rental properties.